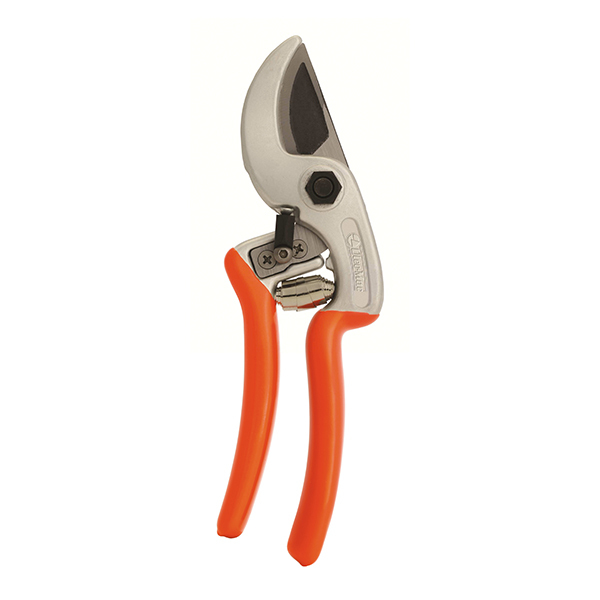 COMFORT is a professional pruning shear with a curved anvil. Thanks to the ergonomic handle and cutting head aligned with the branch, operator effort is minimal and wrist position is entirely natural. The curved anvil prevents the transmission of shock loads to the wrist, whilst also allowing branches to be restrained during the cut.The handle and lightweight aluminium alloy anvil are hot forged.This technical solution enables us to provide this product with a lifetime guarantee against the risk of breakage.High carbon steel with hot forged construction ensure long working life of the blade.This model is the lightest tool in it’s class, weighing in at just 215g.